If you would like more information on partnering with DaVincisMuse.com, please contact us at info@davincismuse.com or complete the Da Vinci’s Muse Joint Venture Form below. Tell us what you think we can do together. I attended a PAX seminar this last weekend after experiencing and getting excited about an introductory presentation made by Alison Armstrong about her PAX program. 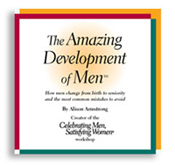 The title of the two-day seminar: Celebrating Men, Satisfying Women. I was satisfied! IÂ decided to attend the seminar on this particular date, my wedding anniversary, as a way ofÂ healing the final residue of a divorce of many years ago that still lingered with me. 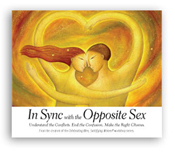 The forgiveness was complete at the end of the seminar both in relation to myself and to my ex-husband. Her material is not per say about forgiveness, but that was my purpose for going. Without giving away her secrets, I shall only say that it is not for everyone. And if it is not for you, they will refund you. Her approach is unique, original and practical. Once I give birth, so to speak, to the offerings of Da Vinci’s Muse on this site which will occur in June, 2009 in the form of four passages toward reclaiming the light and power ofÂ womanhood and then making them available in August, 2009, I will certainly willÂ be signing up for other PAX programs for my own personal development.